While you nudge your cool season plants along through the dark winter months ahead, draw inspiration from some of the classic titles on the organic farming movement. Natural farming isn’t a new concept of course. Some of these books are based on direct observations of simple farm cultures in the east that, though sustainable methods like combining vegetation and animal manure to create humus, have maintained or improved soil fertility on tiny parcels of land that have been farmed continuously for thousands of years. 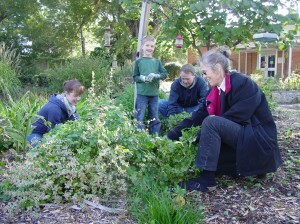 Other works illustrate how organic methods like sheet composting green manure crops, restored modern era farms that had been rendered sterile by the use of chemical farming techniques, and abandoned. By the time you’ve put all these classics back on the bookshelf, you’ll be heading for the garden to create your own story on sustainable agriculture! 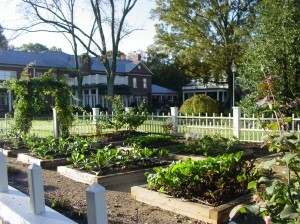 The Smith family’s European style potager, or kitchen garden, sits neatly in the back corner of their tree lined Foxcroft property. A rose covered arbor welcomes visitors into the garden, while rose bushes and assorted herb plants line the inside of the garden’s ornamental white picket fence. 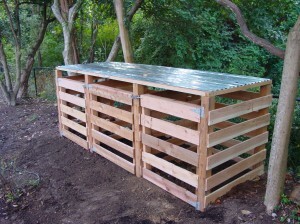 Eight raised beds, each measuring 4’x6’ , sit neatly down the center of the garden in two columns. Tiffany Smith loves gardening, but life as a busy mom of three made it difficult to keep the garden maintained. Ever dreamed of gardening year round in your own premium glass greenhouse? Microfarm can make it happen. 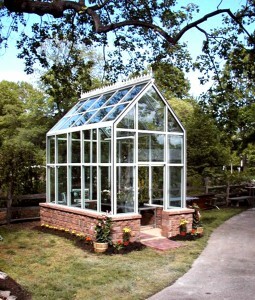 We recently partnered with Florian Solar Products to offer their Geneva Greenhouse design to the Charlotte area. South Carolina based Florian has been making high quality glass greenhouses for over 70 years, and their Geneva model is a state of the art, industry leading design. Raking up leaves and putting them in clear plastic bags to send to the dump makes about as much sense as washing your car in the rain. Organic matter like leaves, grass clippings, coffee grounds, and vegetable scraps can be turned into humus ; an amazing material that creates rich, living soil and healthy plants. At Microfarm, we endorse the proven, three bin design used by organizations worldwide to recycle large amounts of organic material. Research has shown that the ideal size of a compost pile is about four cubic feet- much larger than the average store bought, plastic compost bin . The mass of a four cubic foot pile facilitates rapid decomposition, but isn’t too big to turn with a simple handheld garden tool like a spading fork. “Maybe you could use this to pry it up off the ground,” suggested a parent, gesturing towards a fence post lying in a patch of weeds nearby. “Good idea”, I said, looking up, and wiping sweat from my face. I had only made minimal progress with one corner of the first garden bed, the handle of my mattock creaking dangerously. Using the post as a lever on a cinderblock fulcrum sounded like a better idea than peanut butter and jelly, and I was willing to try anything that let me to stop and catch my breath for a minute.